Salem College welcomes another record incoming class this fall. This year’s expected incoming class of 195 new students includes 182 first-years—the largest first-year class since 1972. This is the third consecutive year of record-breaking numbers of incoming first-year students. New students will begin moving onto campus on Aug. 22 during the Salem Firsts orientation session for first-generation college students. This is the second year of the Salem Firsts program, which offers additional information to students and families navigating the college experience for the first time. 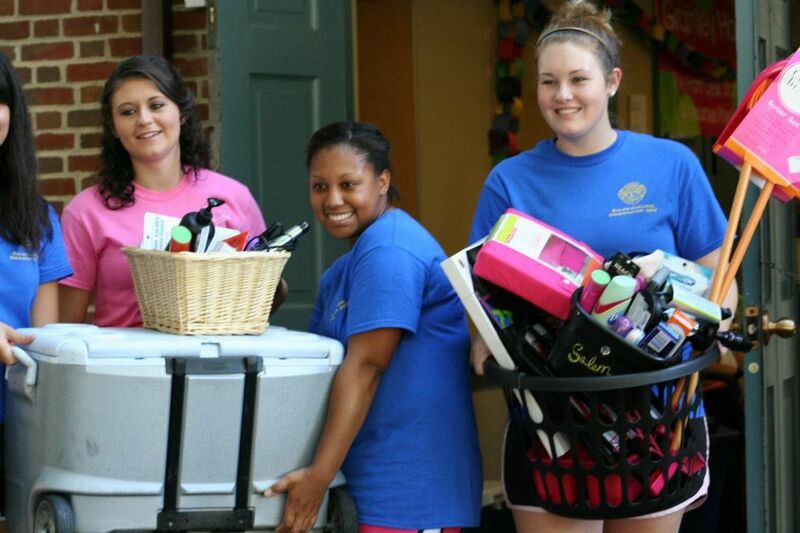 The remainder of the class will move in on Aug. 24 with the aid of Salem Orientation Counselors, who by tradition carry new students’ belongings into the residence halls. After move-in, new students will enjoy orientation activities such as a Moravian Lovefeast, academic advising, wellness activities and a day-long retreat to Camp Hanes.